The market for Design of Fine-Korai-Mat started dwindling day by day due to laborious work involved in using primitive and outdated handicraft methods in its production resulting in higher cost. The young generation shy away from this craft as the working condition is not good and not remunerative. This handicraft is practiced by a community living in Pathamadai (Tirunelveli Dist., TN) for many years and the products are also known by its place of production (Pathamadai Pai). RuTAG, IITM, Chennai on realizing its status has taken initiative for the technology development of Fine-Korai-Mat Weaving handicraft so as to improve its ergonomics (working condition) that will result in more comfort and less fatigue to weavers, and to enable them to produce more results in increased productivity and better earning apart from increase in the design capability. Mechanical Jacquard Handloom of 120 hooks has been developed initially to give better ergonomics that produce symmetrical Design of Fine-Korai-Mat resulted in 200% increase in productivity. Subsequently, Electronic Jacquard of 192 hooks has been developed to produce full-size design of Fine-Korai-Mats and Marriage Mat that contains names resulting in 300% increase in productivity apart from other benefits such as ease of storage and retrieval of design and elimination of card punching and its recurring cost, etc. 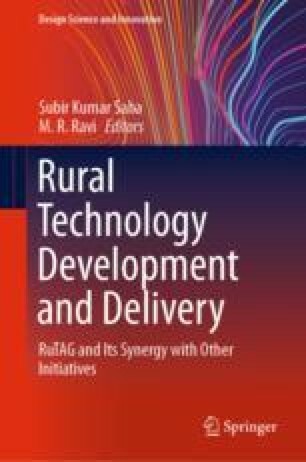 The authors wish to express their gratitude to Department of Computer Science & Engineering, RVCE, Bengaluru, Mr. Srinivasa Reddy of Sai Handloom Industries and Mr. Ambareesh, an undergraduate student of RVCE, for their support and assistance in this development work.